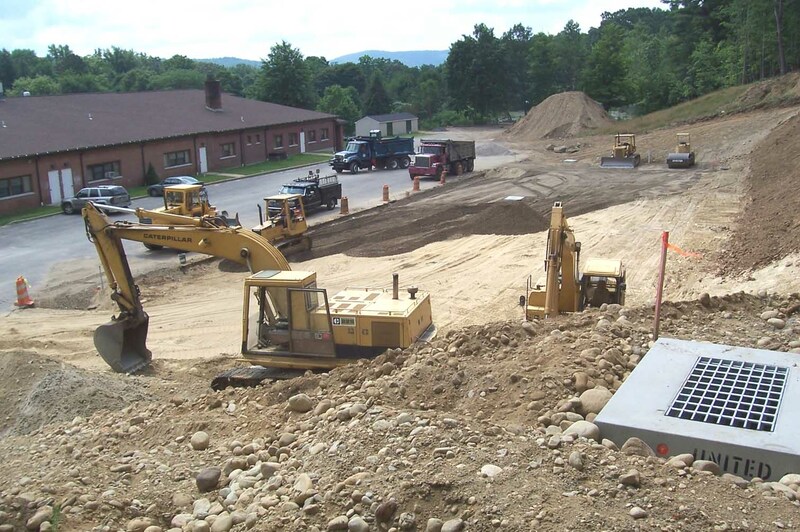 As soon as school got our for summer in June 2006, employees of the construction contractor David Curtiss, LLC (of Barkhamsted) began work to expand the parking lot at the Barkhamsted Elementary School in Pleasant Valley. 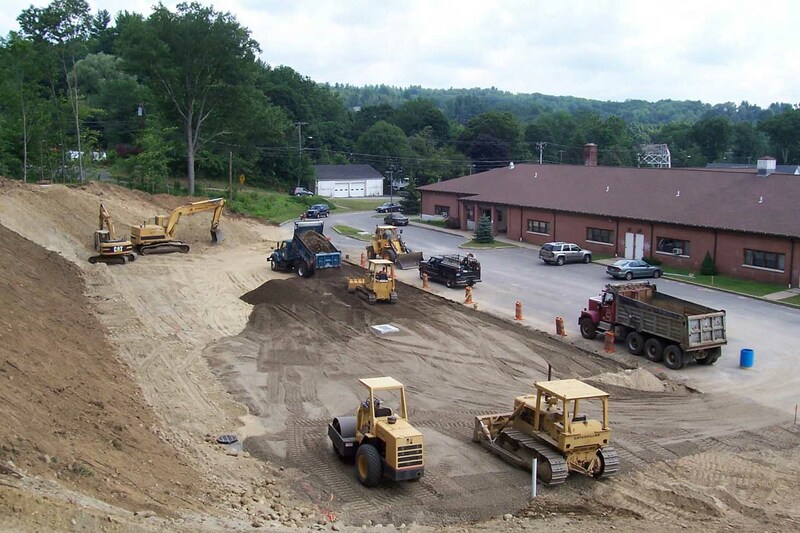 The project involved excavating a portion of the hill to the west of the school, grading, the installation of drainage and will eventually involve expanding the asphalt surface. 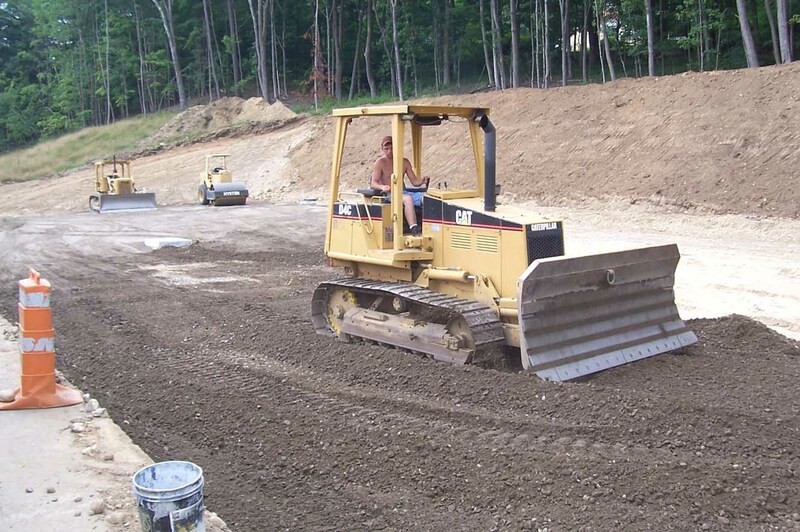 The work will greatly expand the parking at the school. Parking at the school was limited even during normal school days to say nothing of special events such as elections, meetings or programs at the school. The work will be completed before school opens at the end of summer. The land used for the expansion had been acquired by the town in 2001, when a parcel of one and a quarter acres was purchased for $28,000. Photo above- Work to expand the parking lot at the Barkhamsted Elementary School in Pleasant Valley (for another point of reference, the top of the bridge over the Farmington River can just be seen over the roof of the school). Photo above- Parking lot construction work, looking south. Photo above- Adam Lozier, employee of contractor David Curtis, LLC grades processed gravel for the parking lot expansion project at the Barkhamsted Elementary School in Pleasant Valley.